Welfare State | Ipswich Unemployed Action. Esther McVey gets brought down from Summer Jobs Cloud Cuckoo Land. It’s a hard life being Esther McVey. Unkind people have suggested that this has brought about an identity crisis. But she takes what comfort she can get. Her Summer Job wheeze is the latest case of what experts in psychology call “flaying around helplessly”. But even delivered with a winsome smile her latest trip into cloud cuckoo land has not met universal admiration. Why haven't you resigned yet? Esther McVey told teenagers to get summer jobs and it did not go down well Independent. Has anyone asked Esther McVey what summer jobs she did at her fathers construction firm? Rich Esther McVey – just about to swan off on long MP holiday – insists children should work in fieldstone gain ‘vital skills’. Daily Misery of Universal Credit. Esther McVey is facing accusations of dishonest behaviour worthy of Donald Trump ..
Somebody should produce a digest of stories about Universal Credit misery. With a long list of Esther McVey’s Trump like fact-denials. Birmingham children had to go without socks on their feet because of Universal Credit chaos, says MP. Liam Byrne, Labour MP for Birmingham Hodge Hill, said “chaos” in the way the new benefit system was administered had left parents without money. Universal Credit replaced benefits such as Jobseeker’s Allowance, Income Support, Housing Benefit, Employment and Support Allowance, Working Tax Credit and Child Tax Credit. It was Irolled out across Birmingham between November 2017 and February this year. But critics say mistakes meant some people were forced to wait longer than expected for money, or received the wrong amount. Mr Byrne told the House of Commons: “In my Birmingham constituency, we have the DWP [Department for Work and Pensions] telling my constituents that they cannot apply for housing credit through Universal Credit. They get sent to Birmingham City Council, which then sends them back to the DWP. In response, Work and Pensions Secretary Esther McVey, the Minister responsible for the benefit, highlighted the note written by Mr Byrne when he was a Labour Treasury Minister following the banking crisis. ‘Shambolic’ Universal Credit error sees Dundee benefits sent to Angus. A Dundee woman living in sheltered accommodation was almost evicted after benefits bureaucrats sent housing payments to Angus Council by mistake. The vulnerable woman, who was living in an Angus Housing Association property in the city, was wrongly accused of avoiding more than £1,000 in payments to her landlords. It later emerged that her entitled housing benefits had been sent to the similarly named – but wholly unconnected – local authority. Calls to ‘sanction’ Esther McVey over Universal Credit rejected. Labour’s attempts to “sanction” Esther McVey for her handling of the rollout of Universal Credit have failed. A Commons motion calling for the work and pensions secretary to be docked a month of her ministerial pay was rejected by 305 votes to 268. She apologised last week for misleading MPs about a watchdog’s assessment of the controversial new benefit system. But she robustly defended progress so far on Wednesday, saying 3.3 million people had been helped into work. Sanctions are imposed against welfare claimants who are deemed not to have complied with agreed commitments. Labour’s motion demanded an equivalent penalty to be applied to the minister, saying benefit claimants had been penalised for “far less”. The motion said people claiming Universal Credit were suffering financial problems but that the government had refused to pause its expansion across the country. Ms McVey defended the scheme, saying it had helped over 3.3 million people into work. She demanded an apology from Labour for “misleading statements” about the impact of welfare reform, its record managing the welfare system in government and a remark by Labour’s John McDonnell during the 2015 general election campaign about “lynching” her. That this House censures the Secretary of State for Work and Pensions, the right hon. Member for Tatton, for her handling of the roll-out of universal credit and her response to the NAO report, Rolling Out Universal Credit; notes that the Department for Work and Pensions’ own survey of claimants published on 8 June 2018 showed that 40 per cent of claimants were experiencing financial hardship even nine months into a claim and that 20 per cent of claimants were unable to make a claim online; further censures the Secretary of State for Work and Pensions for not pausing the roll-out of universal credit in the light of this evidence; and calls on the Government to reduce the Secretary of State for Work and Pensions’ ministerial salary to zero for four weeks. As I am in a generous mood today, will Opposition Front Benchers take this opportunity to apologise? They have not so far. It took me two days to apologise. Would they like to apologise? We are bringing in a new benefit system. We have helped 1,000 people a day into work since 2010. We have said that where we have got it wrong, we will change it and put it right, which we have done in instances where we felt it was wrong. The aim is to get people prepared for a modern technological age so that they can engage in work, and we will support people who cannot as best we can. That is what a compassionate party does—help people into work and support those who cannot work. We started off with a ding-dong in the Chamber today. I do not necessarily think that we are at our best in Parliament when we have a ding-dong like that. People watching outside do not understand the real reasons why we, on both sides of the House, came into politics. I put this on the record now: let us work cross-party to get universal credit right. Let us work with third sector organisations to get it right. Let us reach out and get it right, because it affects so many millions of people. We are doing our best, and lots more people are in work, but we can do more. Let us do it together. I believe that each of us in this House, whatever our political persuasion, came into politics to help build a fairer society. Indeed, that sense of fairness is part of the very DNA of the British people, and the desire for fairness extends to our welfare system—a system where we support the vulnerable, those looking to get into work and those wanting to increase their hours. That is precisely what universal credit does. It takes a complicated benefits system and simplifies it. Under this system, the claimant is provided with one-to-one support for the first time by their work coach. This support is making a real difference to progress into employment and is increasing people’s earnings. My right hon. Friend set out in her speech some of the positive changes that she has made, with the support of the whole brilliant DWP team. She has instigated these changes since coming into her role. Labour Members should actually be thanking her for her proactivity, not seeking to censure her today. They have offered absolutely no solutions today—just scaremongering. Their only answer appears to be to let people languish in a legacy system that effectively washes its hands of them. When we go forward with universal credit, of course we are going to listen. But at the heart of universal credit there lies a very simple but incredibly powerful idea—that we should help people to achieve their full potential, and that is precisely what this Government are going to do. As Tories Campaign Against the Welfare State Tory MP Flounces Out of Hustings after saying Foodbank Users smoke and own 58 inch tellies. Life imitates ‘fake’ as more Tory candidates go into meltdown and accuse the poor. Well, now we have more evidence that Conservatives – and especially Conservative Parliamentary candidates – really do feel that way because Mark Pritchard, Tory candidate for the Wrekin in Shropshire, walked out of a hustings after causing outrage with comments about food bank users owning 58-inch TVs. Locals said the Wrekin MP had made inflammatory comments about people using food banks having ’58 inch TVs’ and ‘smoking £10 packs of cigarettes’, which sparked fury from the room. Mr Pritchard was filmed berating his constituents, telling them “some of you have let yourselves down tonight”, which prompted the audience to slow clap him until he left. According to several people who attended the debate, hosted by Telford Trades Union Congress, Mr Pritchard was answering a question on Tory cuts to disability benefits from a member of the audience when he made the comments. Tory MP walks out of hustings after sparking furious row about foodbank users smoking and owning ’58 inch TVs’. Some in the audience began to complain as Mr Pritchard was leaving, but one voter shouted “If he wants to p*** off, let him p*** off.”As he was saying he would be happy to stay if the crowd calmed down, there was a further furious outburst from the floor, and Mr Pritchard started to leave the room, waving as he walked to the door. Lucy Allan, the other Tory MP for the region, was invited to the debate, but did not attend.The Mirror contacted Mr Pritchard by phone, text and email, but he had not responded at the time of publication. In a later statement to the Shropshire Star, he said: “I raised the issue following constituents raising the issue with me. Food banks meet a real need and offer a valuable community service. Meanwhile on the excellent Welfare Weekly. There is a reason why the government refuse to publish the updated benefit-related death totals of Employment and Support Allowance claimants, writes Mo Stewart. Independent academic evidence provided by Professor Martin McKee identified long ago that the austerity measures introduced by the Conservative led Coalition Government in 2010, which accelerated the punitive welfare reforms, were adopted as “a political choice and not a financial necessity” when introduced “without any ethical approval”. The spin, the political rhetoric and the power of the mighty Tory press, who were only too happy to aid inflammatory media coverage to suggest that the majority of out-of-work disability benefit claimants were “scroungers”, collectively helped to guarantee that many people would die during the welfare reforms and the more severe austerity measures, and so they have. 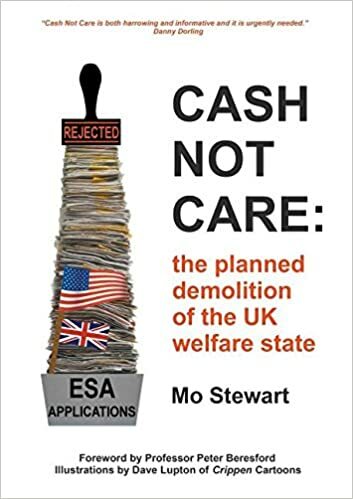 The psychological security of the welfare state had to be destroyed in order to discredit anyone claiming welfare support, so that hostile public opinion could be used to help justify the planned total destruction of the welfare state. With American corporate co-conspirators waiting in the wings to profit from the shameful political attacks, the Coalition government spent five years successfully demonising chronically sick and disabled welfare claimants when aided by the Tory national press. Read the full article (link above). The relentless DWP propaganda, as splashed across the tabloid front pages at regular intervals played its part in the negative psychological impact on chronically ill and disabled people who were not capable of paid employment, but whose existence when dependent upon welfare benefit was perpetually challenged, which added to their distress as the public support for disabled people deteriorated. As from 2008, when the ESA was introduced to replace IB, the entire concept of welfare was changed. The WCA presumes guilt of the claimant, presumes that all claimants are bogus and with few exceptions, anyone in receipt of the ESA was required to have endless repeated WCAs regardless of a diagnosis which identified a permanent health condition from which the claimant could never recover. This is the American system of resistance to funding private income protection insurance, as adopted by the DWP on route to the long-ago planned demolition of the welfare state and, in order to remove any future political challenge, the DWP has refused to publish the updated ESA benefit-related death totals. American corporate ‘racketeers’ influencing UK welfare ‘reforms’. US Racketeers and Tories Plan to Smash Our Welfare State. There are a number of sources for serious news about Social Security and Welfare. Amongst those posting here, there’s Enigma, Doug, Ken, Marie, and too many others to list. There’s the Guardian, the Independent, and the Daily Mirror, not to mention specialist journals. Welfare News has some of the best original articles and collects news from all over. This really struck me yesterday. It confirms what many people here have said, and just how serious the attempt to hand over welfare to organised thieving is. BBC News reports exposing how a US firm were influencing UK welfare reforms were inexplicably removed from their archives. In November 2007, BBC News exposed the influence of Unum Insurance with the welfare reforms, and now the UK is perilously close to adopting private healthcare insurance to fund welfare as the Welfare State is demolished. Almost ten years after the BBC News report chronically ill and disabled people, whose financial survival is dependent upon State funded finance, have paid a very high price for the influence of this American corporate giant with successive UK governments since 1992. The above quote was the introduction by BBC News anchor Hew Edwards for an exclusive BBC News report, transmitted on 6th November, 2007. Fortunately, some very wise researchers and activists downloaded the transcript of the report as, within a few short days, both the transcript and the BBC News video were inexplicably removed from the BBC News archives. Quite whose authority was used to rapidly remove this BBC News investigation remains a mystery. Presumably, the New Labour government didn’t want reference to Unum Insurance and their many court cases to be permanently available, or the $multi-million fines they paid out in America for refusing to honour their Income Protection Insurance policies. In reality, Unum (Provident) Insurance worked with the British government from 1992, and were appointed as official government advisers for “welfare claims management” from 1994, to guide the then Conservative John Major government to eventually replace the Welfare State with healthcare insurance policies. The ultimate ‘Thatcher Legacy’ covertly used to remove the welfare state. Austerity Agenda Continues as Damian Green Takes Hold of DWP. Shifty Looking Damian Green Sidles into the DWP. 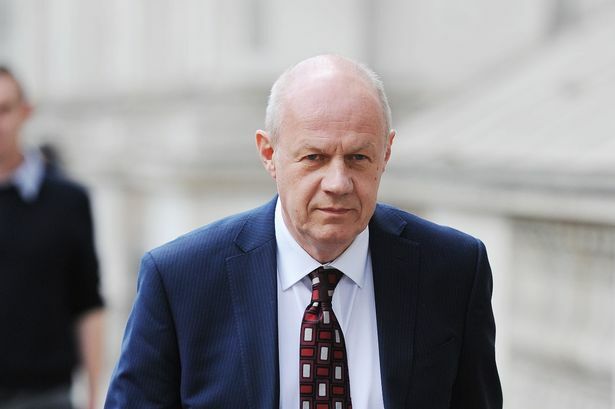 There will be “no new search for cuts in individual welfare benefits” the secretary of state for work and pensions, Damian Green, has pledged. Not much news there, then. Green’s predecessor, Stephen Crabb, made the same promise in March, as a jittery Treasury sought to placate the Tory backbench revolt over cuts to disability benefits. The former chancellor George Osborne may be gone, but his welfare spending strategy remains largely intact for now. During his Andrew Marr Show interview at the weekend Green made it sound like his “no more benefit raids” pledge was a sign that the austerity agenda was over. But it is not. Green confirmed that inherited current and planned cuts, amounting to billions of pounds by the end of the decade, would go ahead. The language of welfare may well be less abrasive under Green, and his compassionate conservative presentation of welfare reform may aspire to be softer, but without material change, the net effect of the cuts will be the same as it would have been had Osborne still been in post: the living standards of millions of “just managing” low-income working households will continue to suffer, and the very poorest and most vulnerable will become poorer. There is plenty that can be done to make universal credit more operationally humane: Green could make a start on this by scrapping the notorious six-week wait for a first universal credit payment, a rule dubbed “a recruiting sergeant for food banks” by Frank Field MP for its unerring ability to pitch low-income claimants into avoidable debt, rent arrears and food poverty. Green may also want to look again at the potentially explosive plans, currently being trialled, to introduce conditionality for low-paid workers on universal credit. Fining a claimant for not turning up to a jobcentre interview because they were at work is not a convincing advert for “making work pay”. Green and May will have to accept that the social security system is, as the Fabian Society recently pointed out, rapidly becoming unfit for purpose. There are huge imbalances in who benefits: between working age recipients (who have shouldered the austerity burden) and pensioners (relatively unscathed); and between those on low incomes (who took the biggest hit), and the wealthy (who, according to the Fabians will by 2020 receive more financial support from the state in the form of personal tax allowances than poorer families will on benefits). There is a major squeeze on public spending and welfare payments still to come over the next five years as a result of government decisions already taken – including the filleting of almost £9bn from the tax credit and working age benefits bill. These will assuredly diminish the living standards of the less well-off. The Institute for Fiscal Studies has projected that those in the poorest tenth of the population will lose £800 a year by 2020 relative to those in the second poorest tenth at £1,500 a year and the third poorest tenth at £1,200 a year. What is Damien Green’s background? Damian Green was born in Barry, Wales. He grew up in Reading, Berkshire and was educated at Reading School and then at Balliol College, Oxford where he was awarded a BA degree in Philosophy, Politics, and Economics in 1977, followed by a MA degree. He was President of the Oxford Union in 1977 and was the vice-chairman of the Federation of Conservative Students (now known as Conservative Future) from 1980 until 1982. Not, we suspect, the kind of education (Grammar school, Oxford) and politics – including at the top of the hard-right free-market Thatcher worshiping Federation of Conservative Students – that would signal out somebody for compassionate, or even moderate positions on social security and the welfare state. in 1998 Green was – rightly – very critical of the New Deal for the Unemployed. He called it a waste of taxpayers’ money, unable to train people in a way that made people attractive to employers, or, as he put it “providing suitable recruits. (The Four Failures of the New Deal, by Damian Green, 1998, Centre for Policy Studies.) Essentially this was cost-benefit analysis, which paid little attention to the needs of the out-of-work. How will he stand on the use of private companies, known in academic circles as bands of thieves living off public money, by the DWP, for training the unemployed, for Universal credit, and so on? We note this: “As Police Minister in the Coalition Government, Green called for increased partnerships between the police and the private sector.” from here). Damian Green, the new Work and Pensions Secretary, has indicated pensioner benefits may be cut after 2020 as he pledged to tackle “intergenerational fairness”. In his first major interview since taking up the job, Mr Green defended the government’s current support for pensioners and heralded the fall in poverty among the elderly. However he also said it was “absolutely” necessary to consider “over time” whether different generations are getting a fair share of the proceeds of economic growth. It follows criticism of David Cameron’s decision to ring-fence pensioners from austerity cuts, introducing a “triple lock” on pensions and sticking with a promise of free bus passes and TV licenses. Cutting benefits for pensioners will not mean better benefits for anybody else. Just equality in misery, as he might have said as a Conservative Student. 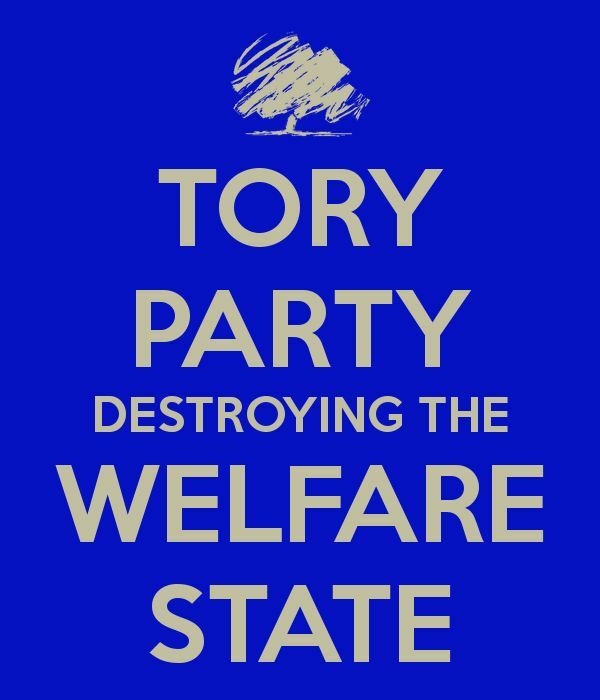 There will be no more welfare cuts under Theresa May’s government after those have already been announced, the work and pensions secretary, Damian Green, has announced. Strongly hinting that the government’s austerity agenda was over, Green told BBC1’s Andrew Marr Show planned cuts would continue but there would be no further raids on benefits. Green said his tenure in the department would be different from Iain Duncan Smith, his predecessor before Stephen Crabb, who quit over his distaste for disability benefit cuts. “I am different from Iain – I will use different language,” he said. “But I know we both share the desire for increasing social justice, by which we mean … that you don’t just measure it by the benefits bill, you measure it by the help you are giving those individuals. Lady Tanni Grey-Thompson, an 11-time Paralympic gold medallist, was among those who spoke out in the House of Lords against the controversial welfare reform bill, which proposes to cut disability benefits by £30 a week. The work and pensions secretary said the government’s overall attitude to welfare had not changed but appeared to acknowledge there had been some mistakes, including people being wrongly assessed as fit for work. “The simple thrust is making sure work always pays,” Green said. Disabled activists have been promised a seat “at the heart of government” if Jeremy Corbyn is re-elected as Labour leader and the party wins power at the next election. The pledge was made by shadow chancellor John McDonnell at an international disability rights conference hosted by Disabled People Against Cuts (DPAC), the final event in its Rights Not Games week of action. McDonnell, who made repeated references to the need to co-produce policies with disabled people during his speech, told the conference in London that it would be vital to ensure that disabled people were represented “at every level of decision-making”. And he promised that DPAC would also have “a fundamental role in advising us on the policies that need to be developed” by Labour in preparation for government.